Why does NC law place a higher emphasis on a hunter instead of a landowner? Currently, under NC law, a hunter may go on any property that is not posted. Who does the law protect more, hunters or landowners? Let's explain it this way. A very small percentage of our population actually purchases a hunting license. The number of anti-hunters that are as dedicated to ending the act of hunting is roughly the same percentage of our population as those that hunt. Each group, hunters and anti-hunters, comprise maybe 3-5% of our population. This is a rough estimate but is close to accurate for this example. Let's be very liberal with our estimation and say that 10% of our population belongs to each one of these groups and those two groups together make up 20% of the population (again, a very liberal estimate). This leaves 80% of our population that is neither for or against hunting. Quite frankly, this 80% group doesn't care one way or the other as they are not exposed to it. It is this group of people that hold and control the balance of power in the hunting versus anti-hunting debate. It is this group of people that should be considered and "positively influenced" for the future of hunting, that is, if hunting is to continue. Any instance of hunter behavior that portrays hunting in a negative light will have an adverse affect on the perception of hunting within this group. It is possible that hunting will continue to exist as long as 51% our population support it. A good question to ask is this: Which side of the hunting vs. anti-hunting debate will get the 51% first? Currently the hunting vs. anti-hunting support level are running in a close race. Is there a method of hunting (Still vs. Dog) that produces an overwhelming majority of all total complaints against hunting every year? The answer is yes, there is. It is much harder to be an anti-hunting advocate when you only perceive hunting as Still Hunting and not Dog Hunting. This is because Still Hunting produces so few complaints. Whereas, Dog Hunting produces many, many more complaints. The percentage of our population that is anti-hunting on moral grounds is much smaller compared to those who are anti-hunting because they are inconvenienced by hunting. This is because irresponsible hunting disturbs their life. For the purpose of describing hunting, it is time to differentiate the types of hunting and to stop classifying each as Sport Hunters. One method is sport hunting and the other is meat hunting. Let the land manager designate which method is best for his land and manage it accordingly as these two types of hunting do not mix together. 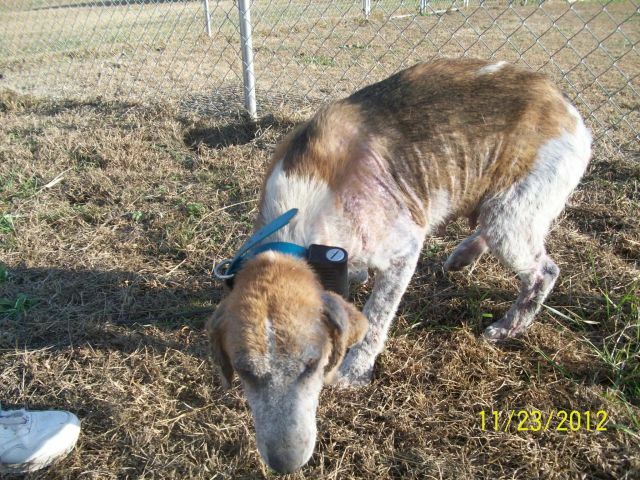 In the state of North Carolina, especially the eastern part, the dog hunters are causing harm to the sport of hunting. Personally speaking, I see no sport at all in dog hunting. It is meat hunting only and it can be easily proven. Sport hunting is the act of growing and harvesting a mature deer and this benefits the whole herd. When was the last time that anyone saw a dog hunter pass up a shot on a deer because it was not a mature animal? They don't because only by shooting and killing the animal being chased can they get the dogs back. This is not sport. The state of North Carolina is refusing to separate the two types of hunting and until they do so, still hunting will always take a back seat to the dog hunters. Members of the North Carolina Legislature and the North Carolina Wildlife Resources commission, I ask you to wake up. Our state is not rural enough to support dog hunting in the traditional manner. Our population has increased in the last 50 years to the point that there are not many rural areas left. Hunting should be separated between responsible and irresponsible hunting. Otherwise, will dog hunting discredit the "sport" of hunting to the point that the public rebels against all hunting and bans it altogether? "Still" hunters would rather envision Responsible Hunting before hunting is banned. "Dog" hunters would rather hunt in the traditional manner even if it means continuing to produce negative public opinion. This is a very selfish attitude and puts themselves ahead of others. Do our current laws promote or instill Responsible Hunting? - No. Is hunting a right or a privilege? - The hunter education manual of NC says that it is a privilege. But NC law leads one to think it is a right. Too often a sport hunter considers an "anti-hunter" as someone who is morally against killing an animal. The act that will greatly reduce the amount of sport hunting will not be based on ethical questioning. Hunting will be reduced by changes in the political climate regarding laws that have not been addressed or even looked at in many years. As our state becomes more urbanized, more and more landowners will get tired of continuously putting up posted signs only to have them removed by hunters that consider hunting as a "right". The landowners will eventually start asking, "why do I have to tolerate this?". Then at some point, somebody will ask their elected officials, "why does NC law protect a hunter's privilege more than a landowner's rights?" Addressing the question of landowner's rights versus hunter's privilege has the potential to reduce hunting far more than anything else. Hunters sticking together to fend off attacks on their sport based on moral grounds is useless. It has never been or will be personal for me, my work, questions and care for the animals is just that, it’s about them. So maybe it’s time for some of the other Animal Advocates to stop spinning the facts, same with some Shelter Employees. If it was about you I would without a doubt mention your name, take your inflated ego and leave it at the door. Animals are dying by mass numbers here in NC, many transported illegally to unknown locations up North with no vaccinations. This is not Responsible Rescue, if you really care about the animals you work so hard to get “pulled” from a kill shelter then why don’t you seem to care where or what happens to them after the “pull”. Just being out of the shelter is not “ SAFE”, you might of just sent these animals to live Animal Research Facilities, to a hoarder or to an animal abuser. 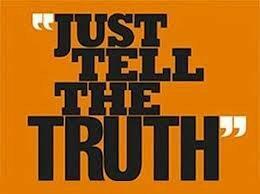 I’m sorry if you think answering questions is “drama”, that alone shows you have much to hide. Again this is about the animals who have no voice on what takes place to them, the best thing you could do for these animals is to follow them from pull to adoption and make sure they are cared for, otherwise you are doing more harm than good to the bigger picture for those of us that work to better change and enhance the NC Animal Welfare Act and Statues. Responsible Rescue means staying involved after the "pull", fully vetting an animal, spay and neuter, home visits on the people you hand these animals off to. Dropping them off to anyone in a Burger King parking Lot is not caring for these animals. A must have for all North Carolina Animal Advocates. Keep this in your car at all times. The School of Government copyrights all publications, including the electronic chapters of the publication below. These chapters are view-only PDF files. You may view these files on your computer and save them for future viewing, but you will not be able to print them. Sale or commercial use of these files is prohibited without express written permission from the School of Government. 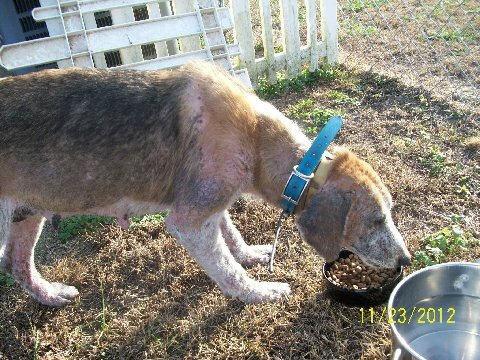 North Carolina Local Governments, by Ben F. Loeb, Jr.
Fremont, N.C. — A Fremont man faces charges in what Wayne County animal control officers call "the most horrific, disturbing case" of animal cruelty they have ever seen. Lawton McKenzie, 28, of Old Black Creek Road, was arrested Tuesday on three misdemeanor counts of animal cruelty after authorities who went to his home found dismembered animals, a machete, knives, bowls of blood and what appeared to be a puppy’s head in a plastic bag. The investigation is ongoing, and more charges are possible, the Wayne County Sheriff's Office said. Authorities declined to release his exact address. Animal control officers found the remains of several dozen animals on Dec. 3, Justin Scally, director of the Wayne County Department of Animal Control Services. "There were multiple animals that had been decapitated," he said. "I don't think you're ever really prepared to see situations like this." Other animals were being burned on what Scally described as "a homemade grill of sorts." Investigators also found the remains of a decapitated dog with its front paws cut off, dead snakes, a dead turtle, dead puppies and what appeared to be a goat’s head on the grill. Other items were unidentifiable. Investigators also found the remains of several predatory birds, such as owls, on the property. An accurate count of how many deceased animals will never be available, Scally said, because of the number of unmatchable dismembered parts found on the property. Investigators removed 26 living animals from the house, including a dying goat, Scally said. It was rushed to a local veterinarian's office and survived. “It was the most horrific, disturbing case that I have ever investigated," he said. “What we saw, I don’t think I will ever forget for the rest of my life." Neighbors said Tuesday they had complained to animal control in the past about animal carcasses in the yard and about pit bulls getting loose from McKenzie's residence and killing other animals in the neighborhood, including a pony and two cats. Scally said he had questioned McKenzie before and that he denied killing the animals, that they were road kill and that he was studying taxidermy and using the animals' bones to make necklaces. Investigators were only able to charge McKenzie last week when they determined they had enough evidence. Scally said the animals are improving and should all have no problems if adopted. While he said the scene at McKenzie's home disgusted his investigators, workers have been concentrating on the surviving animals. "Our goal is providing the best care that we can for these animals," he said, "and to prosecute (McKenzie) ... to the greatest potential." The County of Wayne has filed a civil complaint against McKenzie requiring he pay for the upkeep of the seized animals. The county also requested McKenzie post sufficient funds with the Clerk of Superior Court to insure the care of the animals for an additional 30 days. 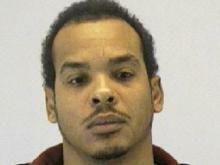 McKenzie is scheduled to appear in court on the civil charge on Jan. 15. In North Carolina we have no Anti Slapp Law, in fact we don’t even have one on the table to go up for a vote, why should this matter to you? If you care about any issues in our State, whether it be about the Animals and their Welfare, The School System, Fracking, Farm Land Issues or just local Politics on getting a street light up you need to care about the lack of this State Statue. Many NC Tax Paying Residents are in court being suit via SLAPP Lawsuits, these Lawsuits are meritless cases that are clogging up our court houses only filed to stop us from speaking out on valid concerns on State and County Issues. I urge you to please contact your General Assembly Members and tell them it’s time we put an Anti Slapp Bill back on the table and move forward like other states. Right now there are 28 states with ANTI-SLAPP laws. The North Carolina bill introduced by Representative Hamilton did not make it out of committee last year. And if we want one back on the table for 2013 the General Assembly needs to hear from YOU! In North Carolina we have State Animal Shelter & Rescue Inspectors that are put on the job with no Policy and Procedure Manuals. So now we know why Shelters are not Inspected or Audited in the same fashion or timeline, this is why many in the Animal Rescue Community do not see consistency from Inspection on local rescue to the next. If NC can create an Animal Welfare Act, Hire State Inspectors from a State Budget then the least they can do is prepare an Employee Handbook on how to conduct yourself for rules and procedures while doing these State Required Inspections, if you agree I hope you write the NC Dept. of Agriculture and tell them it's time they draft and publish a Shelter & Rescue Inspection Employee Handbook for their employees to adhere to. Maybe this way they can keep themselves out of many of the ditches they found themselves in lately. Favoritism is at play when no written policy is in place for everyone to follow. The purposes of this Article are (i) to protect the owners of dogs and cats from the theft of such pets; (ii) to prevent the sale or use of stolen pets; (iii) to insure that animals, as items of commerce, are provided humane care and treatment by regulating the transportation, sale, purchase, housing, care, handling and treatment of such animals by persons or organizations engaged in transporting, buying, or selling them for such use; (iv) to insure that animals confined in pet shops, kennels, animal shelters and auction markets are provided humane care and treatment; (v) to prohibit the sale, trade or adoption of those animals which show physical signs of infection, communicable disease, or congenital abnormalities, unless veterinary care is assured subsequent to sale, trade or adoption. (5a) "Boarding kennel" means a facility or establishment which regularly offers to the public the service of boarding dogs or cats or both for a fee. Such a facility or establishment may, in addition to providing shelter, food and water, offer grooming or other services for dogs and/or cats. (11) "Person" means any individual, partnership, firm, joint-stock company, corporation, association, trust, estate, or other legal entity. Amended by 2005 N.C. Sess. Laws 276, s. 11.5. (a), eff. 10/1/2005. Failure of any person licensed or registered under this Article to adequately house, feed, and water animals in his possession or custody shall constitute a Class 3 misdemeanor, and such person shall be subject to a fine of not less than five dollars ($5.00) per animal or more than a total of one thousand dollars ($1,000). Such animals shall be subject to seizure and impoundment and upon conviction may be sold or euthanized at the discretion of the Director and such failure shall also constitute grounds for revocation of license after public hearing. The Director may assess a civil penalty of not more than five thousand dollars ($5,000) against any person who violates a provision of this Article or any rule promulgated thereunder. In determining the amount of the penalty, the Director shall consider the degree and extent of harm caused by the violation. The clear proceeds of civil penalties assessed pursuant to this section shall be remitted to the Civil Penalty and Forfeiture Fund in accordance with G.S. 115C-457.2. It shall be the duty of the Attorney General to represent the Commissioner of Agriculture and the Department of Agriculture and Consumer Services, or to designate some member of his staff to represent the Commissioner and the Department, in all actions or proceedings in connection with this Article. (a) In every arrest under any provision of Article 47 of Chapter 14 of the General Statutes or under G.S. 67-4.3 or upon the commencement of an action under Article 1 of this Chapter by a county or municipality, by a county-approved animal cruelty investigator, by other county or municipal official, or by an organization operating a county or municipal shelter under contract, if an animal shelter takes custody of an animal, the operator of the shelter may file a petition with the court requesting that the defendant be ordered to deposit funds in an amount sufficient to secure payment of all the reasonable expenses expected to be incurred by the animal shelter in caring for and providing for the animal pending the disposition of the litigation. For purposes of this section, "reasonable expenses" includes the cost of providing food, water, shelter, and care, including medical care, for at least 30 days. (b) Upon receipt of a petition, the court shall set a hearing on the petition to determine the need to care for and provide for the animal pending the disposition of the litigation. The hearing shall be conducted no less than 10 and no more than 15 business days after the petition is filed. The operator of the animal shelter shall mail written notice of the hearing and a copy of the petition to the defendant at the address contained in the criminal charges or the complaint or summons by which a civil action was initiated. If the defendant is in a local detention facility at the time the petition is filed, the operator of the animal shelter shall also provide notice to the custodian of the detention facility. defendant's ability to pay. If the court determines that the defendant is unable to deposit funds, the court may consider issuing an order under subsection (f) of this section. Any order for funds to be deposited pursuant to this section shall state that if the operator of the animal shelter files an affidavit with the clerk of superior court, at least two business days prior to the expiration of a 30-day period, stating that, to the best of the affiant's knowledge, the case against the defendant has not yet been resolved, the order shall be automatically renewed every 30 days until the case is resolved. (d) If the court orders that funds be deposited, the amount of funds necessary for 30 days shall be posted with the clerk of superior court. The defendant shall also deposit the same amount with the clerk of superior court every 30 days thereafter until the litigation is resolved, unless the defendant requests a hearing no less than five business days prior to the expiration of a 30-day period. If the defendant fails to deposit the funds within five business days of the initial hearing, or five business days of the expiration of a 30-day period, the animal is forfeited by operation of law. If funds have been deposited in accordance with this section, the operator of the animal shelter may draw from the funds the actual costs incurred in caring for the animal. In the event of forfeiture, the animal shelter may determine whether the animal is suitable for adoption and whether adoption can be arranged for the animal. The animal may not be adopted by the defendant or by any person residing in the defendant's household. If the adopted animal is a dog used for fighting, the animal shelter shall notify any persons adopting the dog of the liability provisions for owners of dangerous dogs under Article 1A of Chapter 67 of the General Statutes. If no adoption can be arranged after the forfeiture, or the animal is unsuitable for adoption, the shelter shall humanely euthanize the animal. (e) The deposit of funds shall not prevent the animal shelter from disposing of the animal prior to the expiration of the 30-day period covered by the deposit if the court makes a final determination of the charges or claims against the defendant. Upon determination, the defendant is entitled to a refund for any portion of the deposit not incurred as expenses by the animal shelter. A person who is acquitted of all criminal charges or not found to have committed animal cruelty in a civil action under Article 1 of this Chapter is entitled to a refund of the deposit remaining after any draws from the deposit in accordance with subsection (d) of this section. (f) Pursuant to subsection (c) of this section, the court may order a defendant to provide necessary food, water, shelter, and care, including any necessary medical care, for any animal that is the basis of the charges or claims against the defendant without the removal of the animal from the existing location and until the charges or claims against the defendant are adjudicated. If the court issues such an order, the court shall provide for an animal control officer or other law enforcement officer to make regular visits to the location to ensure that the animal is receiving necessary food, water, shelter, and care, including any necessary medical care, and to impound the animal if it is not receiving those necessities. Amended by 2006 N.C. Sess. Laws 113, s. 2.1, eff. 12/1/2006. (5) The physical alteration of livestock or poultry for the purpose of conforming with breed or show standards. Amended by 2010 N.C. Sess. Laws 16, ss. 1, 2, eff. 12/1/2010. Amended by 2007 N.C. Sess. Laws 211, s. 2, eff. 7/11/2007, s. 1, eff. 12/1/2007. If any person shall willfully set on foot, or instigate, or move to, carry on, or promote, or engage in, or do any act towards the furtherance of any act of cruelty to any animal, he shall be guilty of a Class 1 misdemeanor. Any person being the owner or possessor, or having charge or custody of an animal, who willfully and without justifiable excuse abandons the animal is guilty of a Class 2 misdemeanor. If any person shall carry or cause to be carried in or upon any vehicle or other conveyance, any animal in a cruel or inhuman manner, he shall be guilty of a Class 1 misdemeanor. Whenever an offender shall be taken into custody therefor by any officer, the officer may take charge of such vehicle or other conveyance and its contents, and deposit the same in some safe place of custody. The necessary expenses which may be incurred for taking charge of and keeping and sustaining the vehicle or other conveyance shall be a lien thereon, to be paid before the same can be lawfully reclaimed; or the said expenses, or any part thereof remaining unpaid, may be recovered by the person incurring the same of the owner of such animal in an action therefor. 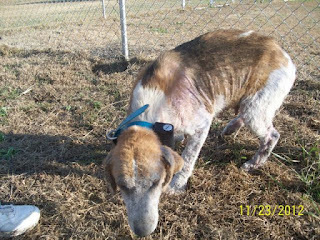 , called "Chamberlin’s Law," would have expanded the state’s cruelty laws and lowered the standard for the definition of cruelty from an act that is "intentional" to an act that is only "reckless." While exceptions are made in current law for physical alteration of livestock and poultry to conform to breed standards, no exception is made for dogs. Anyone who is found guilty could have been prohibited from owning or having custody of dogs for an established period of time, and ordered to receive a psychiatric or psychological evaluation at his own expense. HB 426 was referred to the House Committee on Judiciary B. SB 2 was re-referred to the Committee on Rules and Operations of the Senate. Neither bill was scheduled for a hearing. 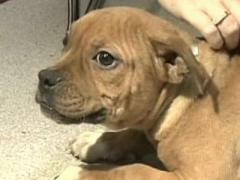 A BILL to amend the laws regarding cruelty to animals. This act becomes effective December 1, 2011, and applies to offenses committed on or after that date. Prosecutions for offenses committed before the effective date of this act are not abated or affected by this act, and the statutes that would be applicable but for this act remain applicable to those prosecutions. A BILL TO BE ENTITLED to establish the Spay/Neuter advisory board and the spay/neuter donation and memorial fund. "Spay/Neuter Advisory Board and Spay/Neuter Donation and Memorial Fund. "§ 19A-59. Spay/Neuter Advisory Board. (a) There is established the Spay/Neuter Advisory Board of the Department of Agriculture and Consumer Services. The duties of the Spay/Neuter Advisory Board are to promote spay/neuter initiatives and to oversee the expenditure of funds in the Spay/Neuter Donation and Memorial Fund established in G.S. 19A-59.1. (1) One person with experience in advocating spay/neuter, to be appointed by the General Assembly upon the recommendation of the President Pro Tempore of the Senate. (2) One person with experience in advocating spay/neuter, to be appointed by the General Assembly upon the recommendation of the Speaker of the House of Representatives. (3) Two veterinarians, one to be appointed by the North Carolina Veterinary Board and one to be appointed by the faculty of the North Carolina School of Veterinary Medicine. (4) Two managers of animal shelters or their designees, one to be appointed by the North Carolina Association of County Commissioners and one to be appointed by the North Carolina League of Municipalities. 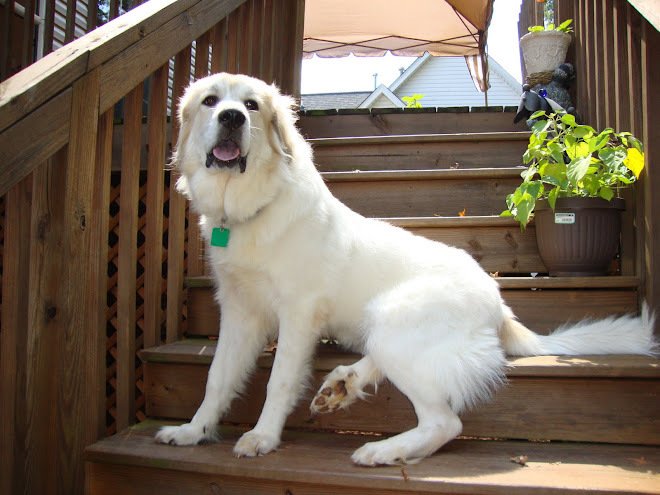 (5) The President of the North Carolina Federation of Dog Clubs, or the President's designee. (6) The Director of the Animal Welfare Section, Animal Health Division, Department of Agriculture and Consumer Services, or the Director's designee. (c) In order for the terms of members to be staggered, one initial member appointed by the General Assembly upon the recommendation of the President Pro Tempore of the Senate, one initial member appointed by the General Assembly upon the recommendation of the Speaker of the House of Representatives, the initial veterinarian appointed by the North Carolina Veterinary Board, and the initial animal shelter manager appointed by the North Carolina Association of County Commissioners shall serve two-year terms. The remainder of the initial appointees shall serve for four-year terms. Subsequent terms shall be for four years. Initial terms shall begin July 1, 2011. (d) All current members shall continue to serve until the expiration of their terms unless a member is removed or the position becomes vacant, in which case the vacancy shall be filled in accordance with subsection (e) of this section. (e) The appointing authorities provided for in subsection (a) of this section may remove any member for good cause shown and shall fill any vacancies on the Board. Members appointed to fill vacancies shall serve the remainder of the unexpired term and until their successors have been appointed and qualified. (f) Members of the Board shall serve as volunteers and shall not receive reimbursement for expenses. "§ 19A-59.1. Spay/Neuter Donation and Memorial Fund. (a) The Spay/Neuter Donation and Memorial Fund is established as a nonreverting, interest-bearing special account in the Department of Agriculture and Consumer Services. The Fund shall consist of donations, memorials, and other private contributions made to the Fund for the purpose of spaying and neutering dogs and cats in order to reduce the population of unwanted animals in the State. The Fund shall be separate from the Spay/Neuter Account established in G.S. 19A-62. Monies in the Fund shall be used only to reimburse eligible counties, cities, and nonprofit organizations for the direct costs of spay/neuter surgeries for dogs and cats, including feral cats; provided that up to two percent (2%) of the fund annually may be used to defray the administrative costs for the Fund. (b) A county, city, or nonprofit organization is eligible for reimbursement from the Spay/Neuter Donation and Memorial Fund if the Spay/Neuter Advisory Board established in G.S. 19A-59 determines that the county, city, or nonprofit organization offers one or more of the following programs to low-income persons on a year-round basis for the purpose of reducing the cost of spaying and neutering procedures for dogs and cats. For purposes of this section, the term "low-income person" shall mean an individual whose income is less than three hundred percent (300%) of the federal poverty guidelines. Programs offered also shall provide reduced-cost spaying and neutering procedures for feral cats, regardless of the income status of the person presenting the feral cat for spaying or neutering. (1) A spay/neuter clinic operated by the county, city, or nonprofit organization. (2) A spay/neuter clinic operated by a private organization under contract or other arrangement with the county, city, or nonprofit organization. (3) A contract or contracts with one or more veterinarians, whether or not located within the county, to provide reduced-cost spaying and neutering procedures. (4) Subvention of the spaying and neutering costs incurred by pet owners through the use of vouchers or other procedure that provides a discount of the cost of the spaying or neutering procedure fixed by a participating veterinarian or other provider. (5) Subvention of the spaying and neutering costs incurred by persons who adopt a pet from an animal shelter operated by or under contract with the county, city, or nonprofit organization. (c) In February of each year, the Department shall report to the Joint Legislative Commission on Governmental Operations and the Fiscal Research Division on all contributions made to the Fund and all reimbursements made by the Fund as provided in this section." This act becomes effective July 1, 2011. Additional Amendments on the Definition to "Cruelty to Animals". 1. Definitions are often overbroad. For instance: a breeder, by "definition" may include someone who occasionally breeds a litter of puppies (but may have ownership interests in several dogs for breeding and showing purposes). The major problem is that definitions are vague and subject to interpretation by "policing authorities", who may have no experiencing and training in the area, often interpreted arbitrarily, and often without recourse. Many proposed laws change the standard for "criminal intent" to a lower standard, which may be a violation of one’s constitutional rights. 2. Regulations are unduly burdensome on the average responsible owner of dogs who may be unaware of new laws. This violates the basic liberties to own animals, and in particular, family pets, without interference from government or "do gooders" who "know better". 3. North Carolina already has effective laws criminalizing animal negligence and cruelty, as well as regulation of "dealers". More legislation does not necessarily protect against certain people who are abusing dogs and should be prosecuted under existing laws; at best it puts average people who are responsible owners and who love their dogs being at risk that they may be violating an unreasonable law, arbitrarily enforced against them. Most new proposed laws will do nothing to protect the health or welfare of dogs in North Carolina. North Carolina's existing animal protection statutes, if properly enforced, actually do a better job of protecting dogs. 4. To adequately enforce proposed new laws, the state would have to add enforcement officials at a significant cost. Most new legislation creates new, unfunded mandates for counties; they do not, however, provide funding for this. In this difficult economic climate, it is unnecessary and unwise to create costly new programs that requires North Carolina counties and their taxpayers to find the funding to properly implement them. PUPS would create a new category of breeder, "High Volume Retail Breeder." 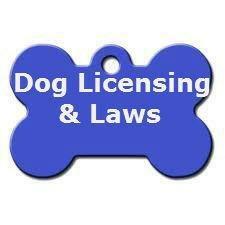 High Volume Retail Breeders would be required to be licensed by USDA under the Animal Welfare Act/AWA. They would be defined based on their ownership of or of having of ownership interests in one or more "breeding female dogs," and sales, or offer to sell, by any means, of more than 50 of the offspring of those "breeding female dogs" in any 1‐year period. In the past, legislation has excluded home/hobby breeders since they are exempt under the AWA from federal licensing. However, in this bill, home/hobby breeders would be required to follow USDA rules and regulations, should they meet the High Volume Retail Breeder definition. This bill would, for the first time, require home/hobby breeders to follow the strict USDA requirements, such as engineering standards designed for large commercial kennels and not homes. Such regulations would exceedingly difficult to meet in a home/residential breeding environment. This bill would affect all breeders who sell directly to the public, including show/hobby/working dog breeders. 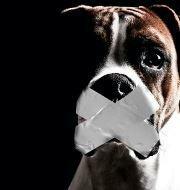 If passed, PUPS would disastrously reduce purposely‐bred pups for the public.